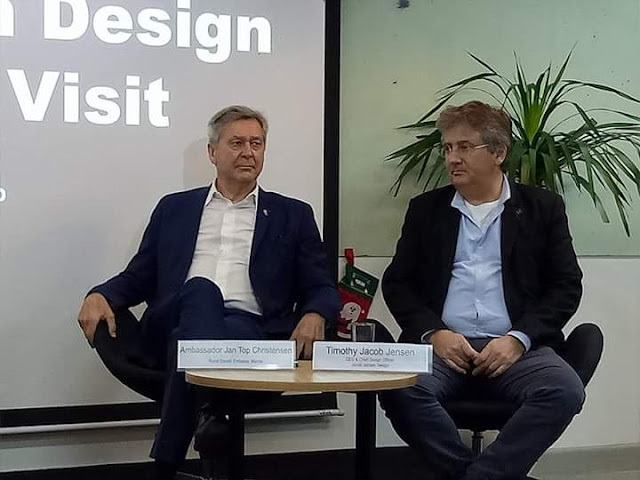 We recently witnessed the unfolding of another opportunity for Design and Technology innovation, exchanges, collaboration and partnerships on Dec. 06 , 3:00 - 4:00pm at QBO Office, DTI International Building, Gil Puyat, Makati City. What primarily prevents our artists in coming out in the open to promote their works? Many are just too burdened with the fear of havong to face tax deductions. 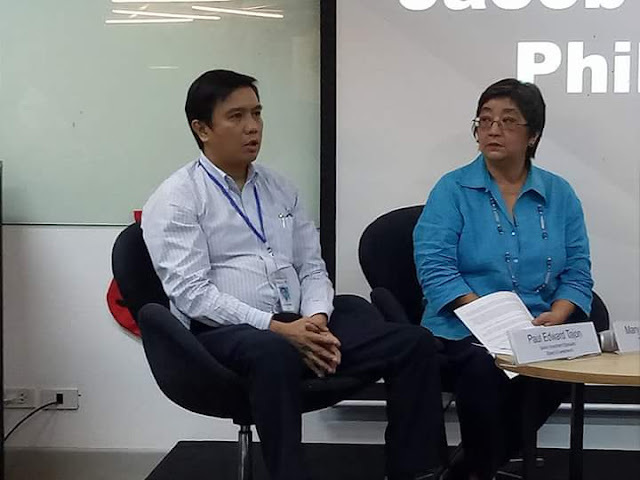 In the Philippines, setting up a business entity, even for single proprietorship entails getting too many permits with corresponding fees. Fees that could be too much for newly established businesses that already spent a fortune in capital setting up their business address and equipment. Thus, announcing your services could very well be more profitable if you remain online seemingly just a home-based entity. Expansion could very well be just an option to keep for yourself since you would prefer paying less tax obligations. 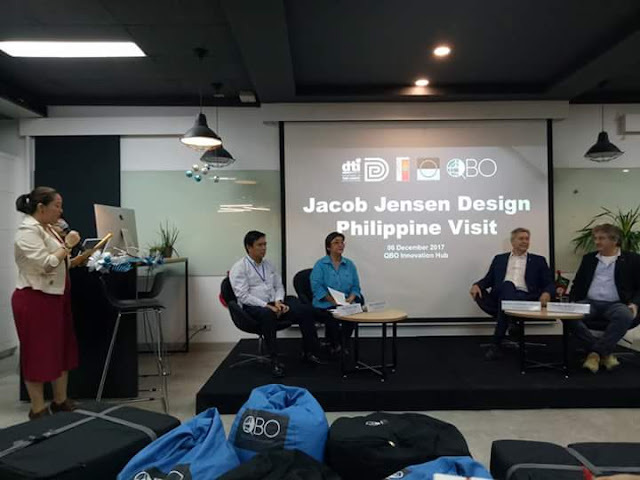 If the Philippines wants us to actively engage with Jacob Jensen Design company then they should make it more attractive for businessmen to setup business in the country. Onexwayvis to reduce orvtotally eliminate taxes during the first months or years until the company has recovered their initial funds used in founding their business. We tend to be more open to partnerships or collaborations when we have less financial obligations to worry about. The less risk, the more open-minded we are to invest our hard-earned money. Needless to say, if the government could not subsidize, then they should find other ways to persuade us to invest. We are honored that the design firm has chosen to venture into the Philippines and has recognized our potential to be worthy partners. Our growrh woukd surely be their growth as well. Many talented individuals would put a second thought in working out of the country if our talenrs could be well utilized and compensated within the country so we won't need to leave our families in search of greener pastures. Timothy sounds optimistic enough that it would be a crime to ignore his call for collaboration. The offer is too good to resist. But since it would be the first time of this kind, mant would obviously hesitate to take the iniative as a pioneer of such venture. But surely, those who have the guts to become pioneers would reap greater benefits if it becomes successful. 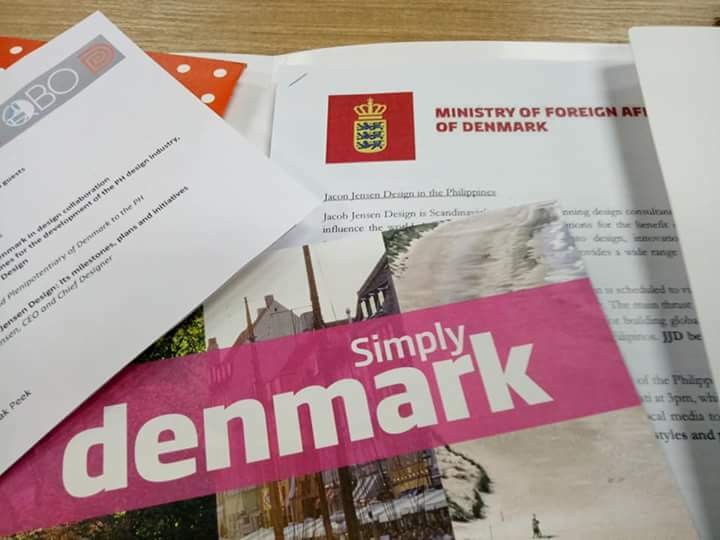 With full support of the Embassy of Denmark, and the Department of Trade and Industry, we would undoubtedly make it big in the design industry since there are many creative Filipinos that could once again put the Philippines in the map as a Design hub.